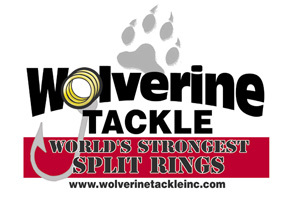 Wolverine Tackle makes excellent split rings! They really do. When you fish with lures and jigs, you need strong components. The worst thing that can happen is that a split ring opens up on you while you have a big fish on. If you are a serious fisherman who wants the best then you need to consider changing out your split rings for ones made by Wolverine. You'll be adding an extra level of security and the investment is very small. Wolverine split rings are the way to go! Love them!